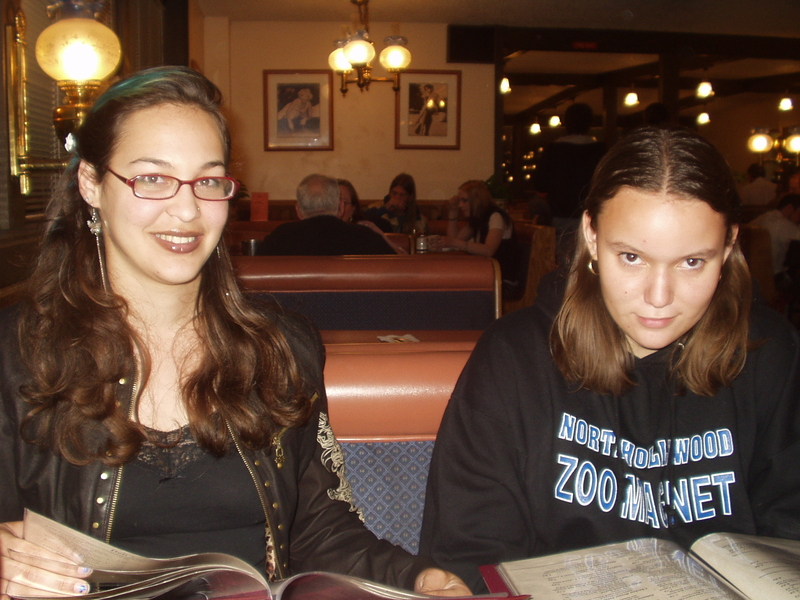 Wendy Newton and Maria Rodriguez discussing prom dress designs. 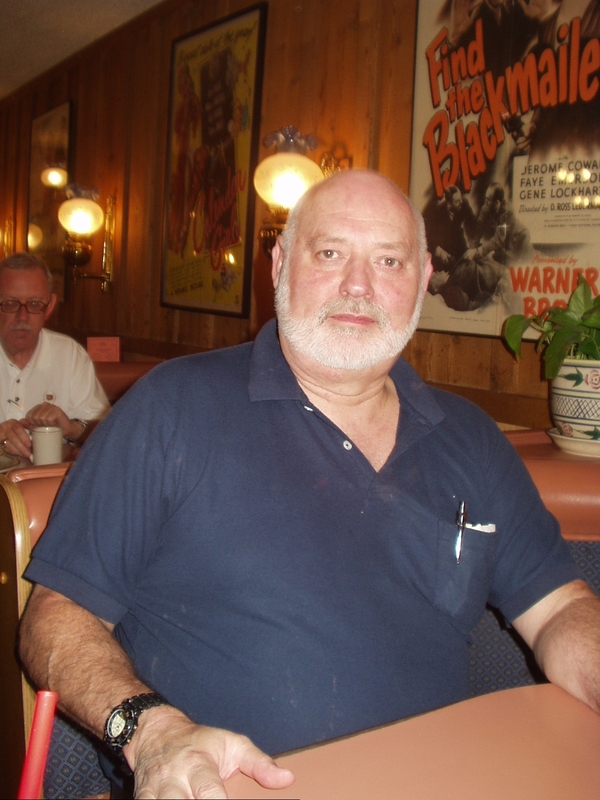 Pearl Newton at right. 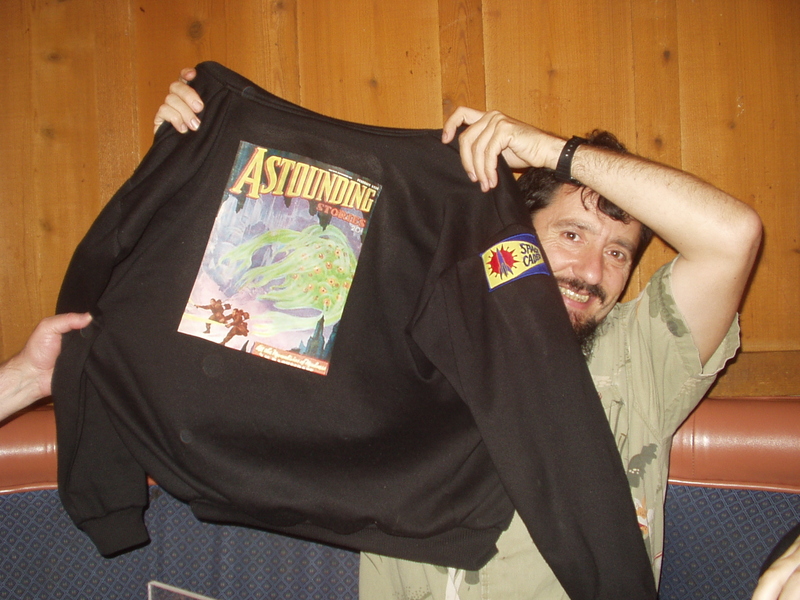 Martin Young and his sweatshirt with the Astounding cover. 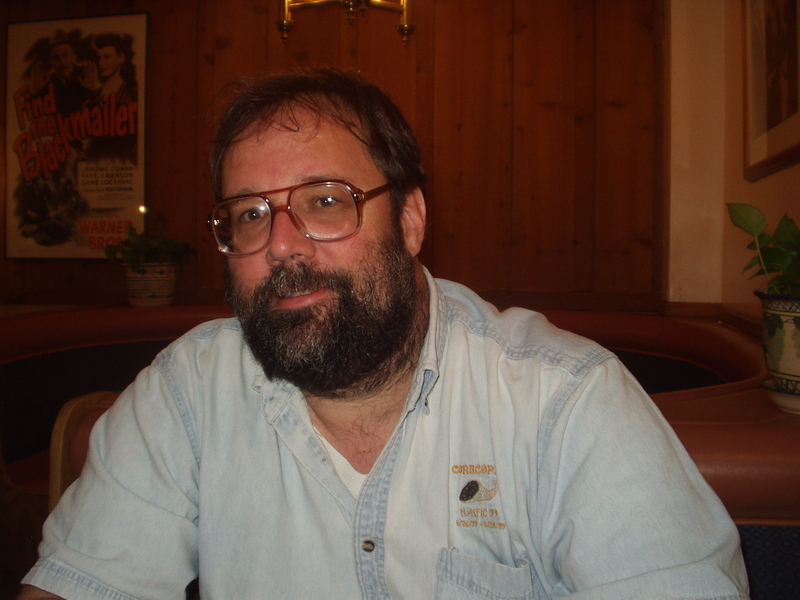 3940-07 high-res image, 3940-08 high-res image, 3940-09 high-res image. 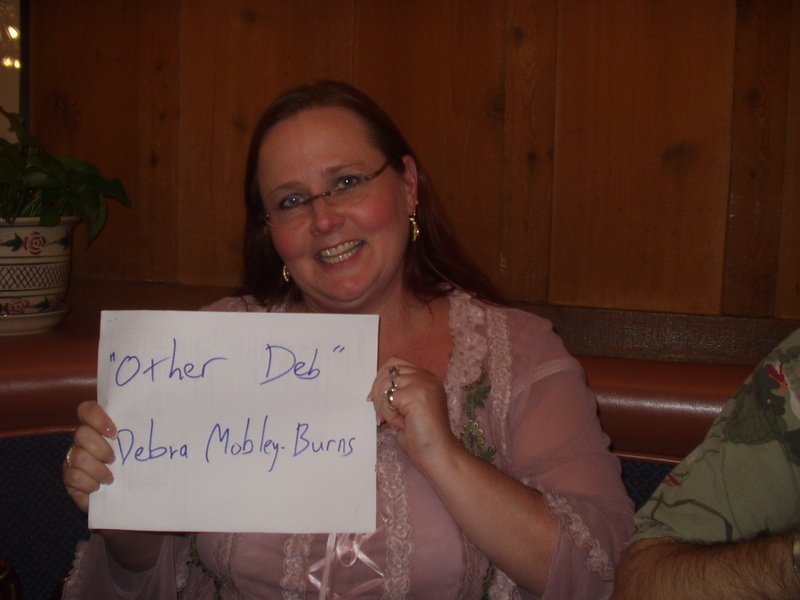 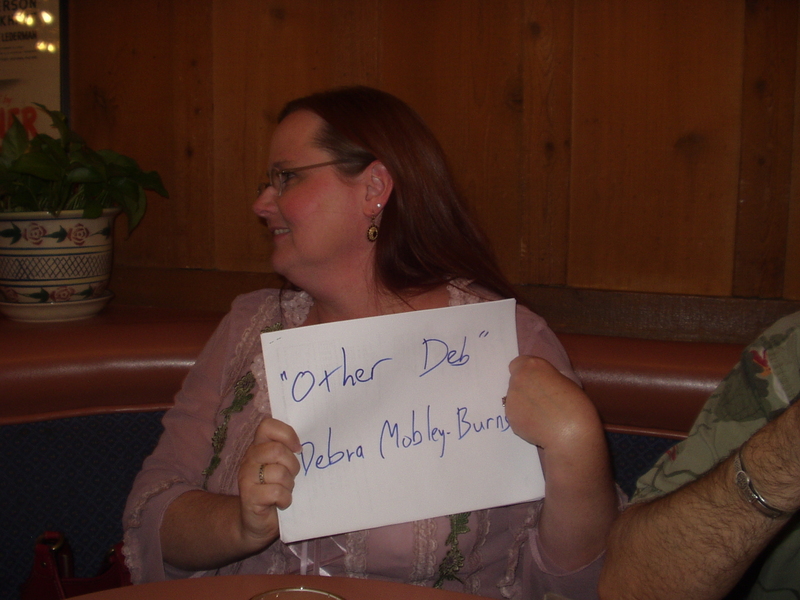 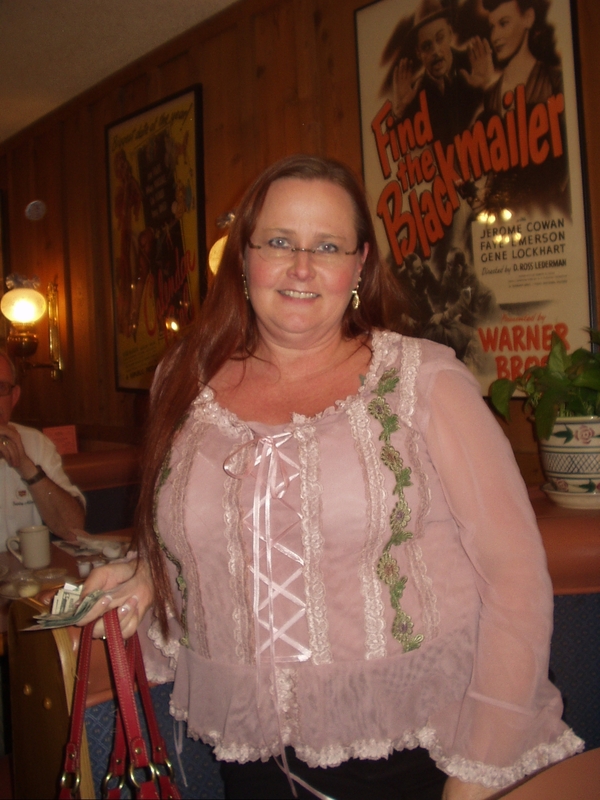 Debra Mobley-Burns, aka "Other Deb." 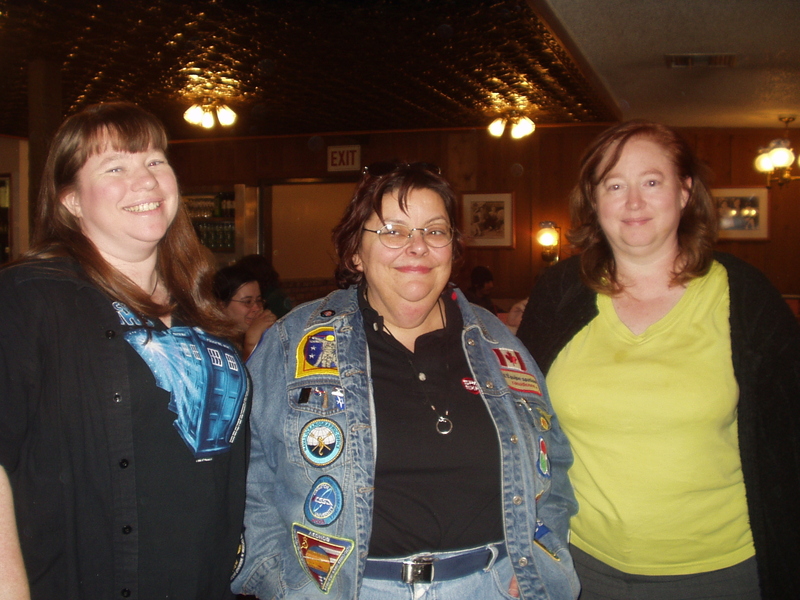 Cathy Beckstead, looking very tall as she looms over Yvonne Penney and Arlene Satin. 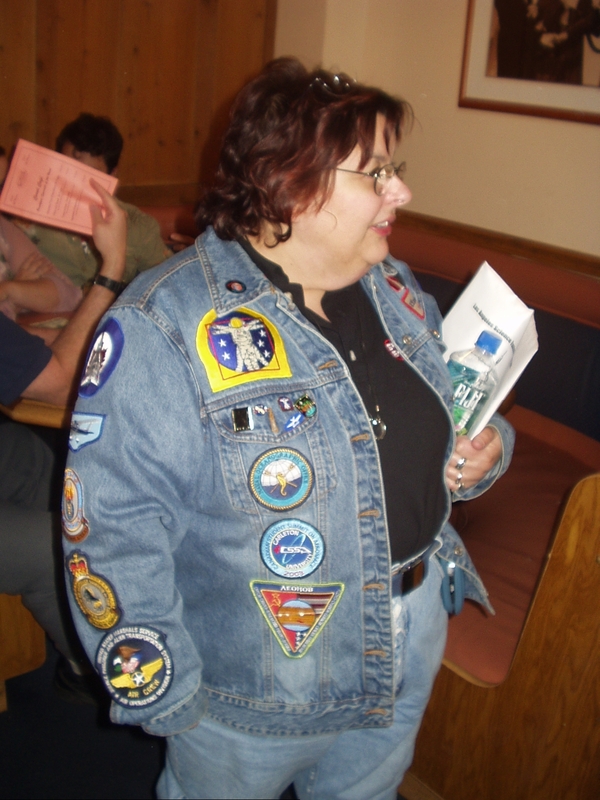 Yvonne Penney with her demin jacket covered with real space mission patches.